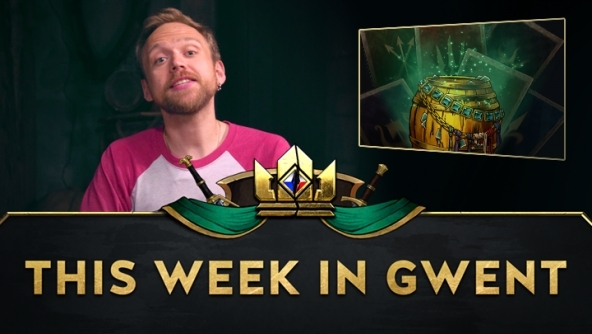 Make sure to visit playgwent.com/POTM and send in your videos – Premium Kegs and Meteorite Powder are waiting for the winners! When will the CC leader trees be released? Each Keg costs 4000 Card Fragments (AKA Scraps), and contains 5 Premium Cards – from both the Base Set and the Crimson Curse expansion. Grab yours until Thursday, April 25th, 12 PM (noon) CEST! I want ask something about no unit decks, is CDPR aware that no unit decks is hilarious and not fun to play against it? 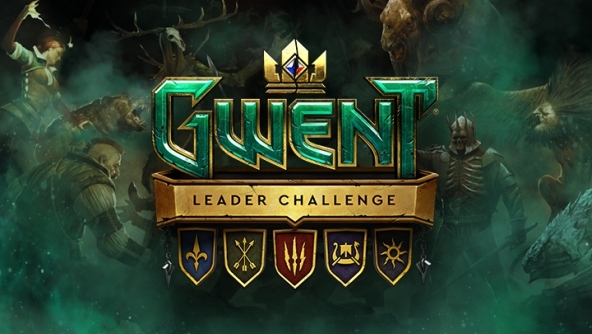 Can CDPR provide some solution to no unit decks? We don't feel like they are a problem just yet, but are monitoring it. Will there be changes coming to reveal...the only "random" tag that lost its uniqueness and serve only as boost/damage mechnic for the moment? 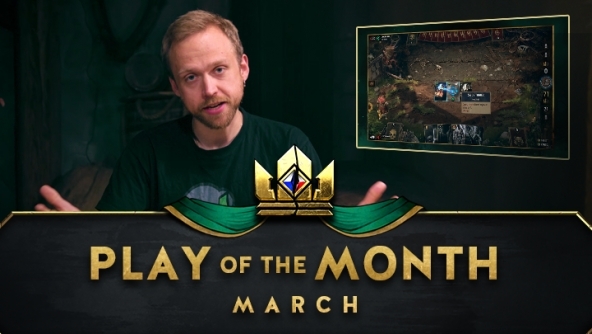 We'll be changing a couple things with Nilfgaard, but old reveal won't be coming back. - are you planning to implement EPIC visual effects (like Regis for example) of some golden cards abilities on mobile version or PC? - is there plans regarding improving visuals of statuses on cards? - does “drug and drop” feature improves fluidity/game speed! What are the devs views on f2p players (or new players who are so far behind in terms of collection) and do they expect f2p players to have a complete collection by the time the next expansion is released? Maybe a month after an expansion would you consider selling 20 guaranteed non-duplicate gold cards for a decent price, so that players can complete their collection faster (so as not to get left behind in their card collection) and not depend on random packs? It would encourage more f2p players to pay if there was some guaranteed cards to purchase. No plans for non-duplicate card sales, we feel and know based on stats, that it's quite easy to get the majority of the cards by F2P players. Hi Burza! I'm recently playing Thronebreaker again and notice that the new mulligan system was not introduced. 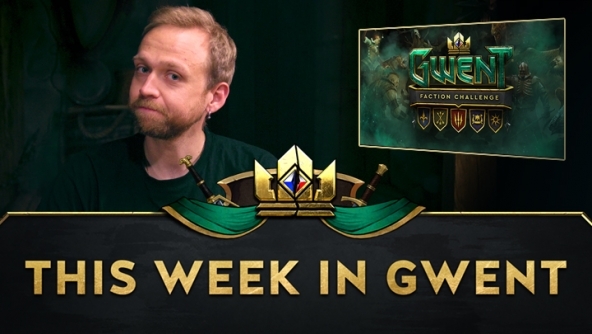 Any plan to make Thronebreaker more consistent with the multiplayer Gwent? Seasonal mode is now also available in the Arena! When you enter the game, all cards in your deck will be duplicated. Whenever you play a unit from your hand, you will also play a unit with the same Provision Cost from your deck! Special Seasonal Arena mode will be available until Tuesday, April 30th, 12 PM (noon) CEST. Seasonal quests cannot be completed in the Arena. Hi Burza! 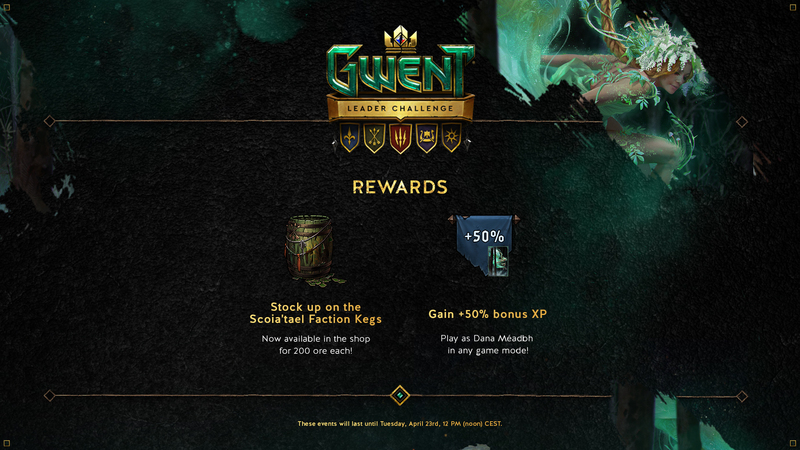 Any plans for a Premium keg event before the summer? I know that I and many other veteran players have held back on opening even the kegs we got from Crimson Curse preorders just to wait for a premium event. 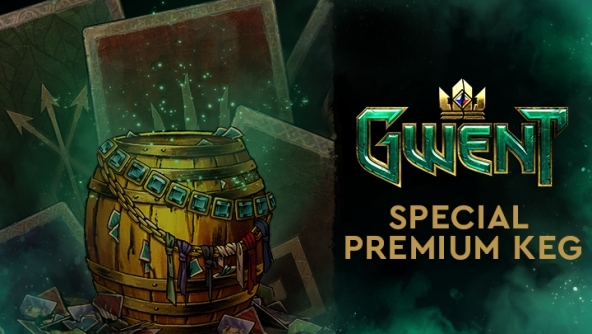 For now we'll be dropping the premium keg events and are thinking of a different way to let players acquire premium cards. We'll keep you updated. Can you say if you're considering any of these 'quality of life' issues? 1) Being able to adjust ambience volume (birds chirping, etc.). 2) Being able to access player profiles by clicking their name on the leaderboard. 3) Being able to hear the sound of players 'Favorite card' when viewing their profile. 4) Being able to listen to card voice lines through the deck builder (perhaps by clicking a speaker icon on the cards). 5) Being able to adjust game board zoom level (I prefer the 'base' zoom level you see at the start and end of the match). Nope, but I'll add it to a list of ideas I'm compiling. What happened to the Redanians? May I ask whether we will see some changes of the NG faction which you guys promised that you would look into its mechanics, or maybe even a rework? Thx. Have a nice day! Yes and yes there will be changes to Nilfgaard with the end of the season patch. Any chance we can get the option to sort deck by faction? It would make it easier to find the decks when looking through numerous ones. Not really a pressing concern, but something that always pops into my head when i have more than 8 or 9 decks in the deck builder. As always, thanks for the great game! 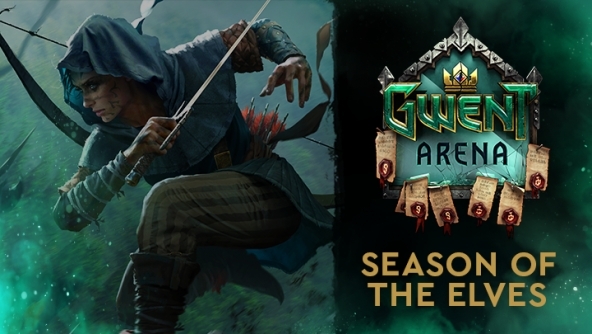 can we expect new The Art of the Witcher: Gwent Gallery Collection part 2 in the future where we would be able to find arts from: Thronebreaker, Crimson Curse & other upcoming expansion(s)? Any plans to buff Emhyr a little bit? Maybe being able to replay a Nilfgaardian unit or an Artifact? I'm asking this because he looks weak to me, very situational ability and sometimes is even useless if you have a bad hand.